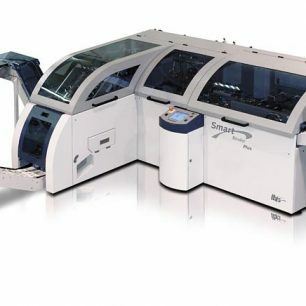 Ibis Integrated Bindery Systems can be used in-line with a digital printer, near-line from a pre-printed roll and web cutter or offline from a high-pile sheet feeder. 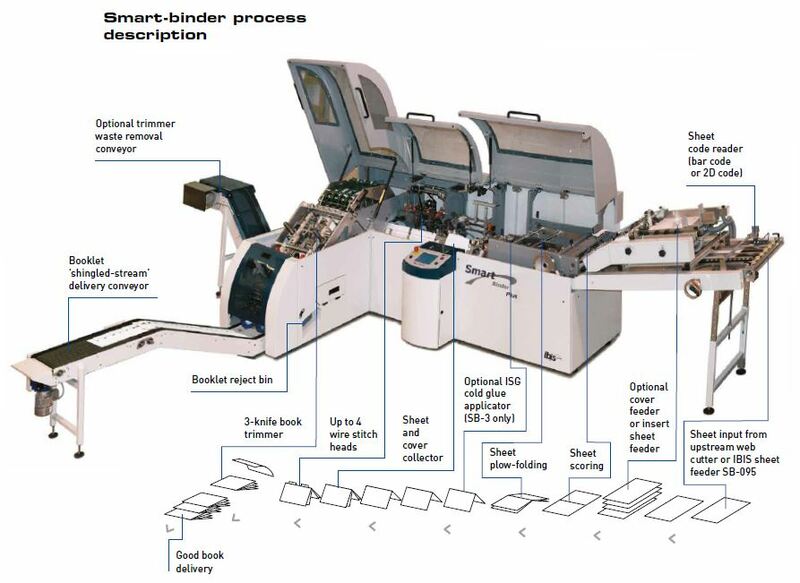 Contact us for more information on this Ibis Smart Binder SB-2, Variable Data Short Run Digital Finishing Stitcher, by clicking the blue “Get More Info” button to the Right. 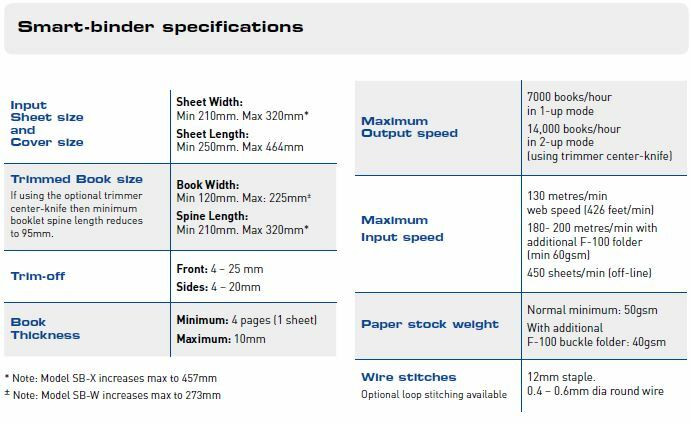 Or, View many more details in the MFG PDF Below.